For the first time in my life it felt like I was doing what I was meant to do. The transition from being an onlooker in the corner of the room, to the individual speaking took years to accomplish but in that moment flew by so quickly. I knew I wanted to reflect on this experience, to remind myself of what I had learned thus far in my journey. What stood out to me the most was that I felt completely at ease half-way through the conversation. I tried my best to emulate every step of history taking that we had been taught. However, I ended up adding my own flare to it, by letting the conversation flow and asking the next logical question. The time flew by so quickly, that when the physician walked in and asked me to present the case, I was a little taken aback. I recollected myself once again and provided an extremely detailed summary. I was delighted to see the patient jump in and help me out as well. It was a surreal experience because it occurred to me at that very moment that I had taken my first medical history. Furthermore, this time when I sat quietly while the physician presented a treatment plan, I felt like a more important member of the conversation rather than in the summer. 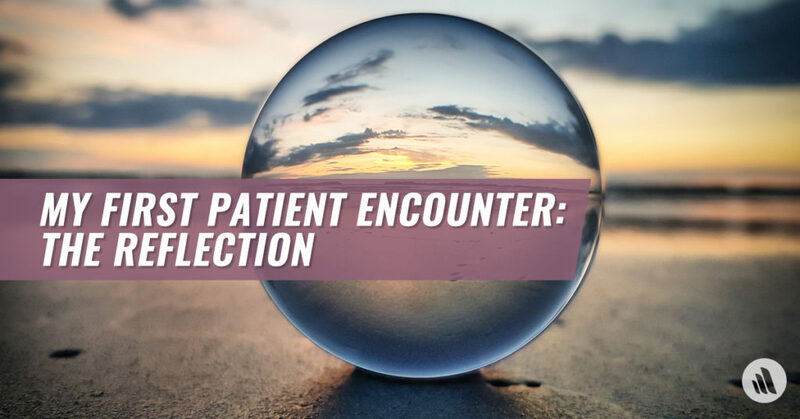 As soon as the encounter was completed, I just kept thinking about how privileged we are to be in this position and have patients share details of their life with us. I definitely do not take this role lightly. It has made me appreciate the impact we will have as physicians in the future when we are able to help this individual during a vulnerable time in their life. Learn more about Manasi’s journey.